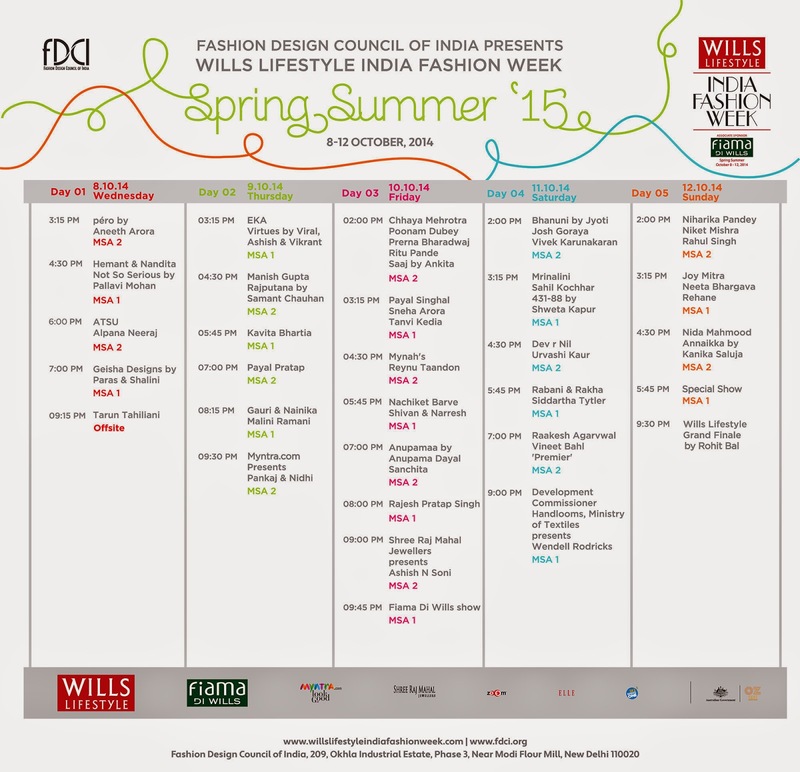 The Fashion Design Council of India (FDCI), the pinnacle style body in India, today advertised the Show timetable and rundown of runway and stall designers for the approaching Wills Lifestyle India Fashion Week Spring-Summer 2015. This season will witness the interest of 124 designers from a mélange of built, and also greenhorns creators from the nation over. The occasion commences on Wednesday, October 8, 2014 with designers showcasing their observing collection to local and worldwide purchasers, media, and style experts. The five-day design occasion will be held from October 8-12, 2014 at Hall no. 18, Pragati Maidan, New Delhi. VOC will be there to cover all the buzz.